Fletcher Priest Architects have started on site on a 200,300 sqft office building at Finsbury Circus. Owned by Union Investment Real Estate GmbH, and built in the late 1980s, the existing office building will be substantially rebuilt by Skanska to provide high-quality, environmentally efficient and flexible office space overlooking the City’s largest garden. Planning consent from the City of London was granted in mid-December 2010. The new building is being developed by Union Investment and CORE, and Savills are the property advisors. 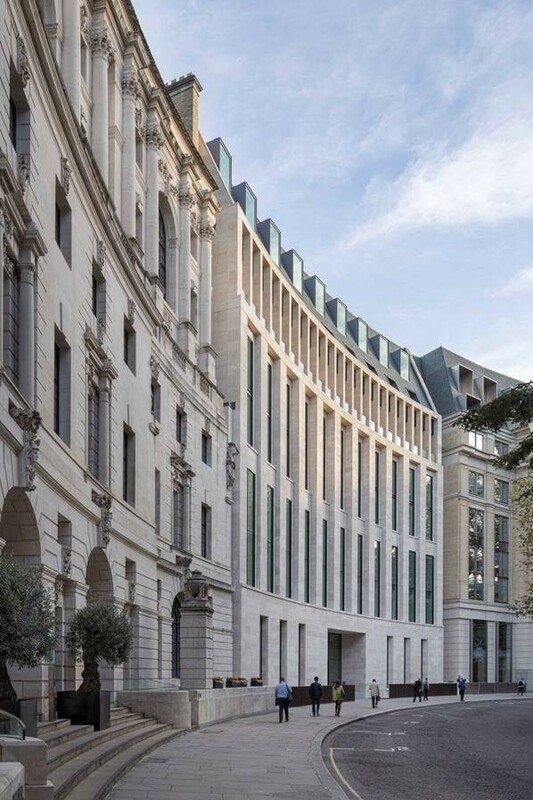 At the heart of the Finsbury Circus Conservation Area between Moorgate and Liverpool Street stations, the new building connects the Circus to a new South Place grade level entrance. A distinguished neighbour on the Circus is Lutyens’ important, Britannic House, built for the Anglo-Persian Oil Company, later to be known as BP, and one of his City masterpieces. 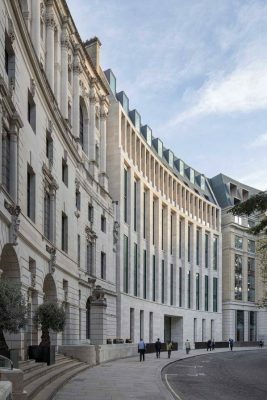 Finsbury Circus House follows on from Fletcher Priest’s recent planning approvals for 60 Ludgate Hill and One Angel Court. The offices are a contemporary intervention that integrates with the existing classical context. Uninterrupted floor space and new rooftop additions are day-lit by the large picture windows, new amenity terraces, and contemporary rooftop dormers that form the distinctive new façade to the north. Fletcher Priest Architects’ and CORE’s City projects include 6 Bevis Marks, currently underway, and the recent award-winning One Angel Lane (formerly Watermark Place), overlooking the first new public space in the City on the north bank of the Thames. Fletcher Priest Architects is an award winning practice established in London in 1978. In 1992 we opened our Cologne studio, Fletcher Priest Bösl, and our Riga Studio in 2008. Our work covers urban design, architecture and interiors and we are one of the fifty largest practices in the UK. Clients include St Anne’s College Oxford, Royal Mail, UBS, Sony, IBM and Vodafone. Our projects range from new buildings to renovation and refurbishment of existing structures and from headquarters buildings to the regeneration of public space. Current projects include the Stratford City masterplan in east London, a 73 hectare urban centre delivering the Athletes Village for 2012, and the new urban centre of Riga, Latvia. We have a thriving Design Research team and strong links with Universities and Schools of Architecture. Fletcher Priest is a finalist for the Architect of the Year Awards 2011.